Early motorists writing of cross-country journeys had little to say east of the Mississippi; once on Iowa’s dirt roads, they couldn’t stop. Iowa was notorious for “gumbo” mud, a result of the land between the Mississippi and Missouri Rivers once having been submerged. Superb for crops, that same rich soil stymied cars when wet. 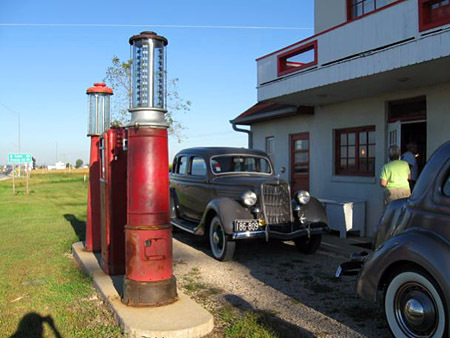 Lincoln Highway fans in the midwest can visit two events this weekend tied to the highway. 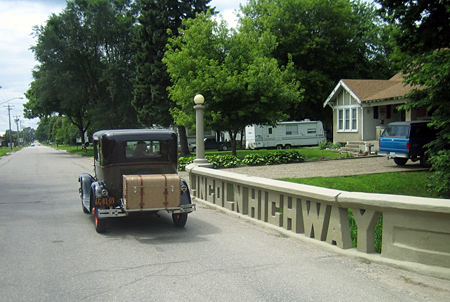 The 33rd Lincoln Highway Bridge Festival starts today and runs through tomorrow (May 18–19) in Tama, Iowa. Then drive 180 miles east and enjoy the Lincoln Highway Car Show in Franklin Grove, Illinois. Tama is known for it’s concrete bridge with “Lincoln Highway” spelled out in its rails. Events kick off Friday night with an ice cream social and entertainment. Saturday gets underway with a Firefighters Breakfast at 7 am, a 5K Run at 8 am, and a parade Tama at 10 am. For the 59th consecutive year, Merriam’s Midway Carnival will set up around the Tama Civic Center. 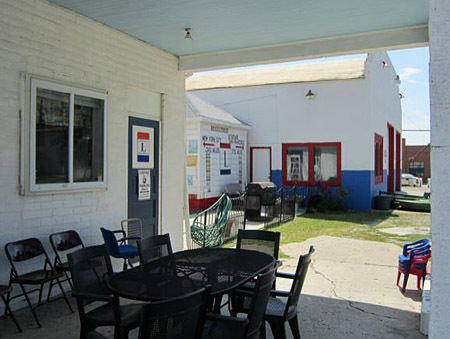 Franklin Grove is home to the Lincoln Highway Association’s National Tourism & Visitor Information Headquarters. Registration starts at 10 am and continues through trophy presentations at 4 pm. The points-basis show is open to all cars, pick-up trucks, and motorcycles, with music by 3-D Sound. The Show will be on Elm and South streets. A new brief video by VintonToday features antique cars that participated in last weekend’s Lincoln Highway tour across Iowa, specifically at the restored Youngville Station between Cedar Rapids and Belle Plaine. 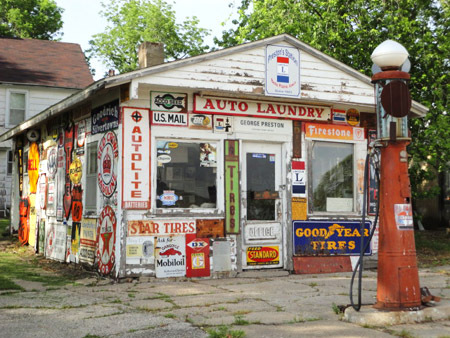 The accompanying music — unfortunately uncredited — is Buddy Nutt singing Goin all the Way On the Lincoln Highway, which he wrote for the PBS Lincoln Highway program produced by Rick Sebak.